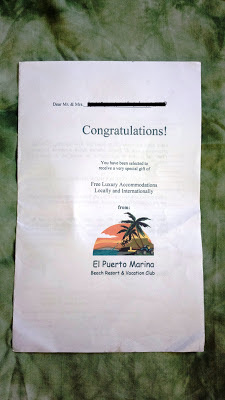 Writing for the web, I’ve encountered about the concept of vacation or holiday ownership a few years ago. But recently, it was my first time to hear that this is also available in the Philippines now. 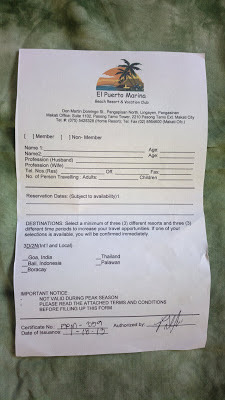 El Puerto Marina Beach Resort and Vacation Club inLingayen, Pangasinan is affiliated with the international group Resort Condominium International (RCI). It’s considered the largest timeshare vacation exchange network in the world. Becoming a member of RCI through a local host allows you to use your timeshare through any member resort and hotel for free with only the booking fee (normally starts at Php 4,000) to pay. At El Puerto Marina, the slots are limited with just enough number of members scheduled at different dates of the entire year. Membership fee will then be dependent on your selected dates of the year (only a few weeks remaining though). Peak season dates are of course costlier as compared to off peak dates. I commend their marketing strategy by the way. There were no expensive ads paid and the plan is only presented to a selected few who falls under a certain category; I’m guessing income bracket which I certainly don’t belong to. J Invites were sent through partner gasoline stations in the province. So be careful err… watch out where you get gas as it might just be your lucky day. They give out travel gift certificates for free although it can only be availed during off peak season. Technically, by becoming a member, you will own a resort/hotel room for just a number of days per year, i.e. one week etc. You can use your days on vacation at the exact club you availed the service from (like El Puerto Marina) or you may also exchange your vacation time at all RCI affiliated locations worldwide. Yes, even premier hotels like Hilton or Waldorf Astoria as well as resorts all over the Philippines and the world over. For a complete list of participating resorts and hotels, you may refer to the RCI website at www.rci.com/RCI. For avid travelers who really spend time and money yearly on vacation, this appears to be a smart investment considering the fact that you can spend a week or longer on vacation anywhere in the planet where RCI is present. To make the most out of it, you can select expensive hotels at famous cities. It’s as if you’re staying at first class resorts or five star hotels but only paying the local cost of accommodation equivalent to the rates of the Philippine partner. But then again, you will be paying about Php100k to Php300k or higher (depending on the plan you avail of) as lifetime fee not including yearly fees and other charges. But in case you’re interested, you may refer to RCI’s website above for a directory of affiliated vacation destinations for your holiday ownership. So this is a scam? I pay P10,000 downpayment. Can i refund it? Hello! RCI is legit but it's best to verify if the people or agency you are transacting with are indeed affiliated with them or if the hotel they are offering are listed under the RCI network.